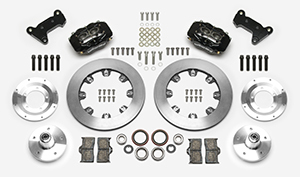 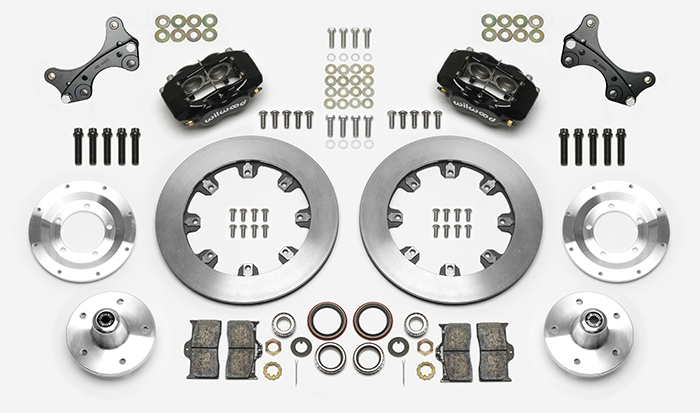 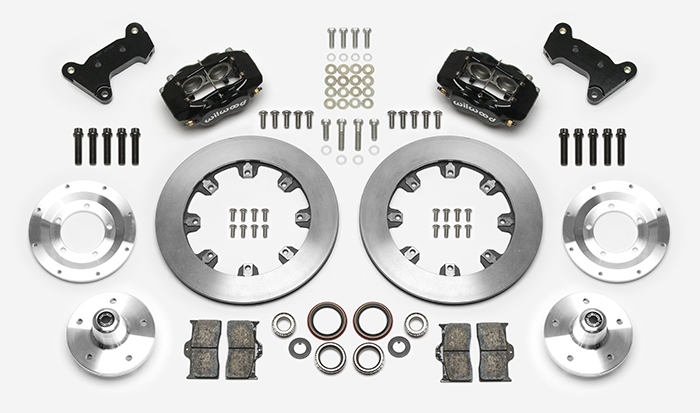 FDLI Big Brake Front 5 x 5.00" Hub Kits provide the added advantage of larger diameter brake rotors for traditional spindles on American muscle cars and vintage rods. 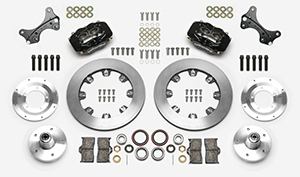 These kits are specially designed for 5 x 5.00" bolt circle wheels. 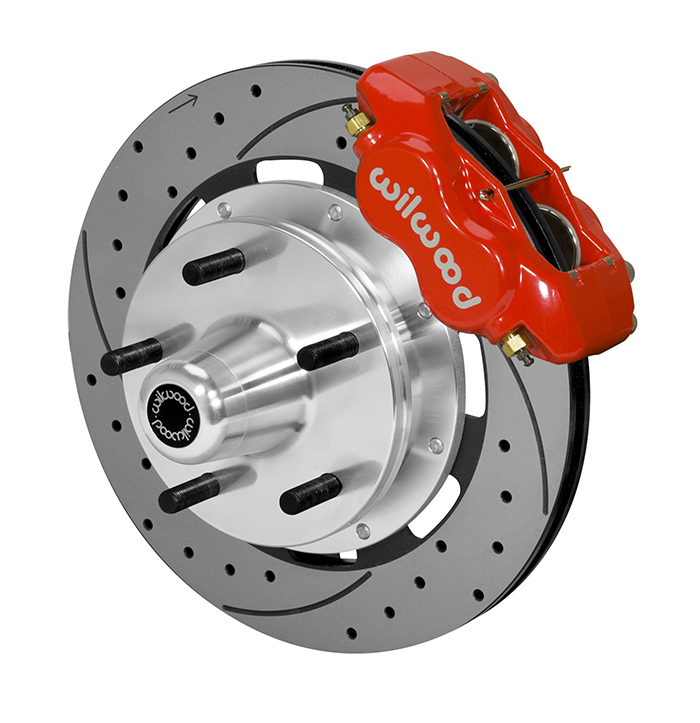 Forged billet Dynalite calipers, 12.19” diameter rotors, and high performance Wilwood brake pads generate big brake stopping power to compliment wheel, tire, and suspension upgrades on all types of custom show and performance street / strip machines. A full range of options for caliper finish and rotor design provide custom builders with the ability to personalize the style and performance requirements of the mildest to the wildest machines.